Sienna Miller’s name was on the list of 2015 jury members at the Cannes Film Festival released yesterday, one of the reasons why people were calling it the prettiest jury ever. Sienna is, obviously, very pretty. But inviting her to be part of the judging panel was not just motivated by her looks, especially not when you consider the year she’s just had, appearing in both Foxcatcher and American Sniper and following that up with a run on Broadway in Cabaret. And there’s more on the way. As mentioned in the previous article about Johnny Depp, Black Mass is due out in September and people are already speculating that it could be an award season player. Ben Affleck has cast her in the next movie he’s directing, Live By Night. And she has another film coming out with Bradley Cooper in the fall. Coop’s been on a tear with prestige pictures. You could say the same about her. So it’s for a lot more than just her face that she’s on that jury. Again, where Sienna’s concerned, a really, really solid career turnaround. Here they are in New York together yesterday going for a walk in Soho and then stopping for lunch. 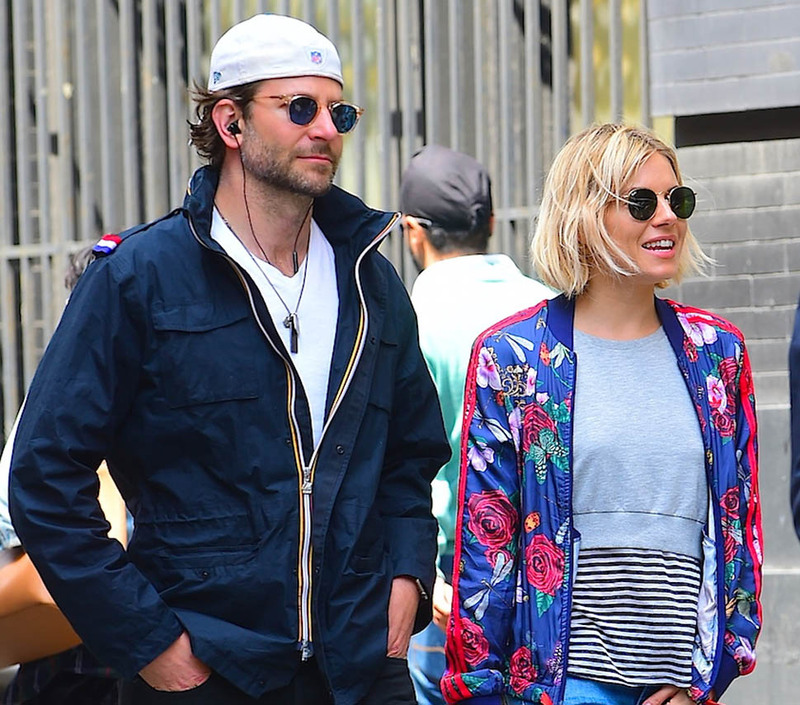 Both Sienna and Bradley showed up on a leaked list of supposed MET Gala attendees yesterday. The event is less than two weeks away on May 4th, one of the gossip’s favourite nights of the year. While there’s been no confirmation as to how legit the list actually is, if Coop does show up it’ll be probably one of his last night’s in New York for a while since he’s scheduled to start working on The Elephant Man in London very soon. The production runs from May 19 to August 8. At minimum you want two weeks to settle, get your sleep on schedule, get used to the theatre, rehearse etc etc etc, right?